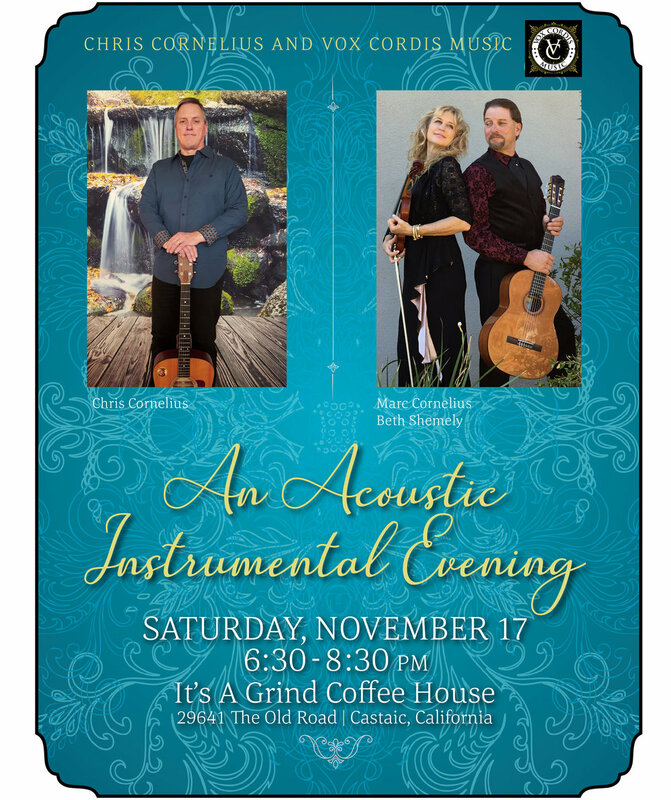 Vox Cordis Music and Chris Cornelius are live November 17 at It's a Grind Coffee House in Castaic, California. Almost sparking a genre all their own, Vox Cordis Music will perform a collaboration of written and world music, including Turkish, Celtic, American, and classical. See them play from 6:30 -8:30 p.m.